I haven’t liked the direction that Mario Party has been heading for quite some time. Back on the Nintendo 64, where the series debuted, I enjoyed the games because they offered nice, light-hearted and entertaining board games, with plenty of minigames thrown in to keep the action rolling along. 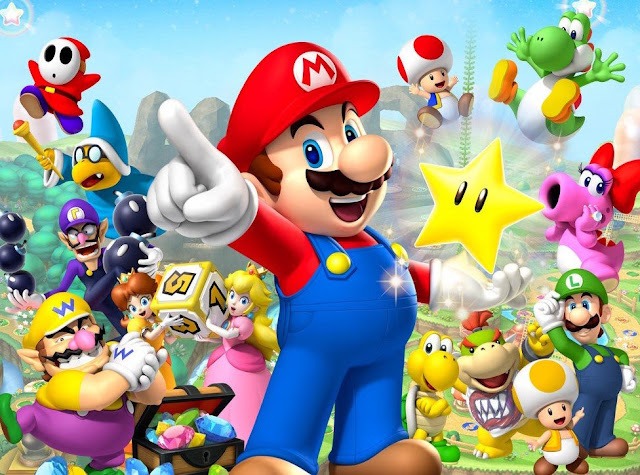 Related reading: Our review of Mario Party 10, the last Mario Party to appear on Nintendo's home consoles. More recent games have gradually de-emphasised the board game side of things to focus instead on minigames and a whole bunch of other gimmicks – none of which I found to offer much in terms of long-term play value. I very nearly gave up on the series with Mario Party 10, when the main game had players moving around a board together at the same time. 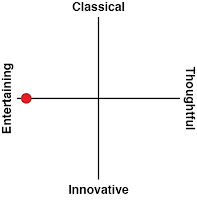 Somehow the developers failed to realise how completely arbitrary that made the entire board game experience. Thankfully that game had a more traditional board game mode shoved off on the side, making it passingly entertaining, especially if you had Amiibo to play with. Mario Party: Star Rush does away with the pretence of having “proper” board games at all. Those amazing themed board games that had you rushing around for coins and stars on Koopa’s beach, in Boo’s haunted castle or through Donkey Kong’s jungle are gone. On one level that is a completely crushing revelation and immediately the package feels thin as you start to play. The minigames that comprise the bulk of the game’s action are well-made and offer plenty of variety; as usual there are dozens of them, ranging from simple logic puzzles through to basic fishing games, and while they’re fun, individually they have almost no longevity. There might be one or two that you might get a couple of solid rounds out of when playing with friends, but divorced of the grand board game “campaign,” the superficiality of these minigames is all the more apparent. 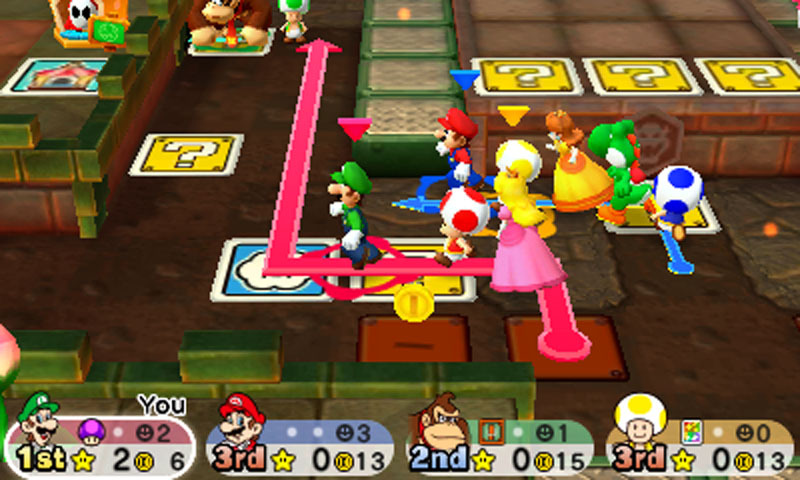 Replacing the main board game mode of previous Mario Party titles is a series of short and more generic gameplay modes. The first offers a small area to roll dice in and move around a small environment, with the goal being to collect coins and find other characters to buddy up with. The reason you want to do that is that after a while you’ll square off in a boss battle, and while those are cooperative, the player who performs the best wins the most rewards, so having AI-controlled helpers teamed up with you makes it that much easier to be the team with the best performance once the boss is dealt with. There’s some basic strategizing to do in this mode, and the boss battles are creative and entertaining, but in making specific minigames the entire drawcard of these levels, once you’ve done them, the impetus to play them again drops considerably. Then there’s a weird race mode, where your character will move around as you collect coins (or similar objects) from a minigame. After a while the minigames will cycle, and the winner is the one who performs best across the lot of them (meaning their character covers more ground and therefore finishes the race in first place). There’s an intensity to that mode when playing against someone of equivalent skill, but it’s the most limited of the gameplay modes and you’ll tire of the minigames within it after a few rounds. The final significant mode is “balloon pop”, and it’s the best by virtue of it being the most similar to the original Mario Party games. 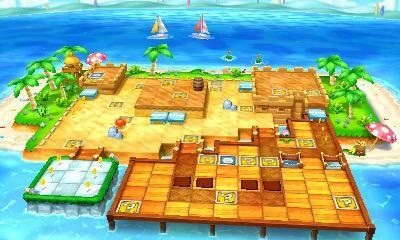 In this mode players each take their turn at the same time, but roll dice and move around a board, aiming to collect coins to then exchange them for stars, which appear in balloons around the map. Each time a star is collected, and certain other conditions are met on the map, there’s a minigame battle, which is where the most coins can be earned. With items to pick up along the way and some choices in how you move around the board, there’s certainly some strategy to this balloon pop mode. What lets it down, in comparison to the great Mario Party maps of old, is the sterile presentation and lack of activity on the maps themselves. There, cannons, rolling boulders and other such zaniness is lacking, as the game was clearly designed around short play bursts; while I understand the tradeoff, given that this is a handheld game, I don’t particularly like it. The Amiibo features are quite superficial and indeed a little too “pay to win” for good taste. Compatible Amiibo give you a useful item to take into a map, and while the boost is appreciated, using Amiibo as a form of physical ‘cheat’ DLC is hardly an inspiring application of the toys. On the plus side Nintendo has made sure that it’s easy for people with a copy of the game to play with people that don’t have one – they simply need to download a free application from the eShop and they’re good to go. 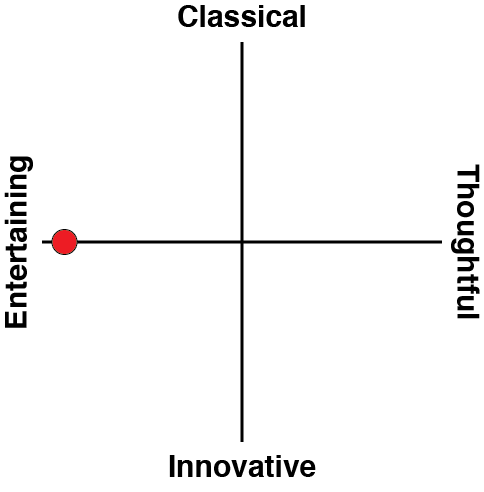 The thing is that some people will have fun with this game, and that’s fine. The presentation is delightful and cheerful, and as I mentioned previously, the actual minigames are varied and well-made. But Mario Party is a series losing touch with itself. 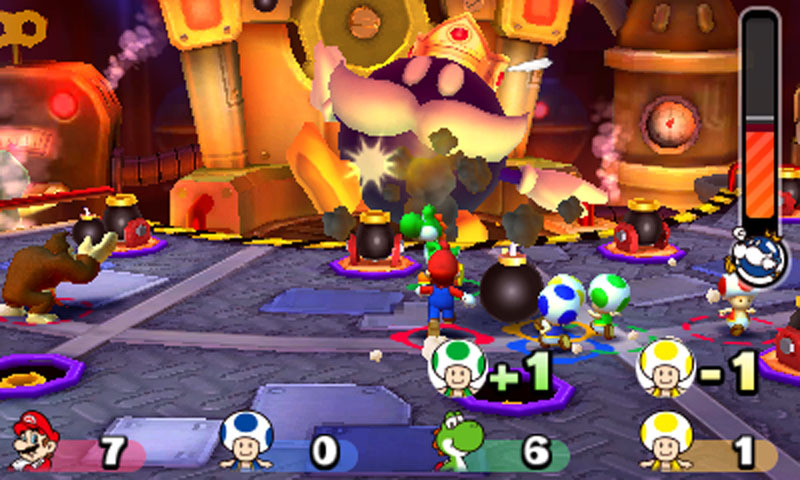 The dice rolls and layout of the boards from the earlier games introduced such an element of randomness that it was endlessly amusing whenever a player was flattened by a wayward visit or accidentally landed on the Bowser square. Randomness is generally not a trait I appreciate in board games, but in this instance, the laughs it generated were worth it. I want Mario Party to get its mojo back. The development teams behind the games need to understand why it was so entertaining back in the day; yes, it had minigames, but those minigames were made entertaining because you were playing a glorified Snakes & Ladders game at the same time, with all the hilarity that comes when a friend rolls their dice and has the misfortune of landing on a snake. Sadly, Mario Party: Star Rush is the latest game that fails to realise that simple truth behind the appeal of the franchise.